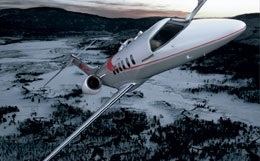 The Cessna Citation XLS is an improved version of the Cessna Citation Excel. This mid-size private jet is capable of travelling faster and further than its predecessor, carrying up to nine passengers comfortably. Additional aspects of small runway requirements and sizeable baggage capacity ensure the satisfaction of all passengers. Cessna’s private jet travel standards for performance, comfort, and reliability standards shine through in the Citation XLS. 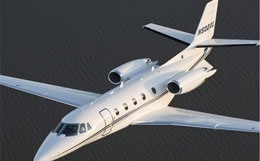 While the Citation XLS is classified as a midsize jet, its performance is reminiscent of light private jets. 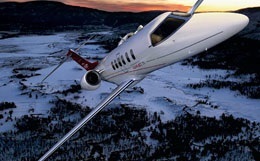 The Cessna Citation XLS was in production from 2004 through 2008 after more than 300 models had been manufactured and delivered. 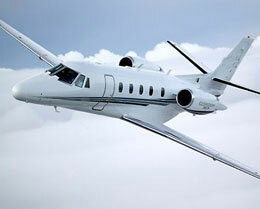 Shortly after the Citation XLS was retired from production, the Citation XLS+ was introduced. 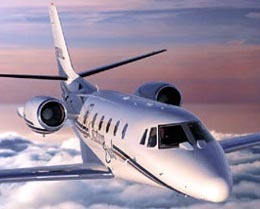 Production on the Citation XLS started in 2004 and ended in 2008. 300 aircraft have been built so far. 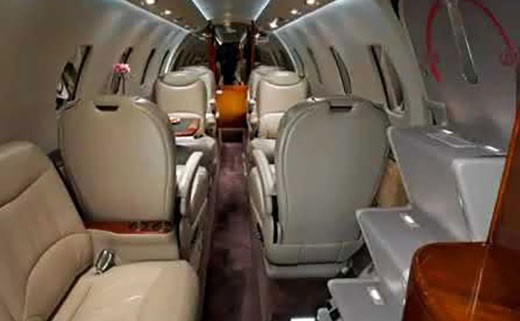 The Citation XLS is usually configured to seat nine passengers but offers arrangements to accommodate as many as twelve. The cabin of this private business jet measures 18.5 feet in length, 5.5 feet in width, and 5.7 feet in height. For better noise cancelation qualities, the cabin door is triple sealed and the Citation XLS features triple pane windows. In addition to the ambient lighting let in by the ten windows surrounding the cabin, the Citation XLS comes standard with an indirect LED lighting system, producing less heat and adding a roomier feel to the cabin. With 80 cubic feet of external storage and an internal closet, the Cessna Citation XLS provides plenty of baggage stowing space. Two air conditioning systems are installed on the Citation XLS to ensure passenger comfort. The Citation XLS comes equipped with two Pratt and Whitney PW545B engines. Each engine is rated for 3,975 pounds of thrust each, a 4.5% increase when compared to the engines utilized for its predecessor. With these powerful engines, the Citation XLS can climb to 43,000 feet in just twenty five minutes, an impressive 48 minutes faster than its predecessor. On a standard day, the Citation XLS needs only 3,560 feet of runway to take off and requires 2,739 feet of runway to land. With a range of 1,704 nautical miles, this private business jet offers many options for your business venture destination. With a long travel trailing link landing gear system, taxi and landing operations are much smoother endeavors. The Citation XLS employs high capacity carbon brakes, allowing for its impressive landing performance. For a flight to a further destination, a long range cruise speed of 354 knots is maintained at the Citation XLS’s maximum certified service ceiling of 45,000 feet. For a swift flight, the Cessna Citation XLS is capable of maintaining 431 knots at a comfortable altitude of 41,000 feet in a high speed cruise configuration. For the avionics suite, Cessna chose the Honeywell Primus 1000. Three screens display the instrumentation information with relevant controls located directly on the faceplates for improved pilot hand eye coordination and performance. Instrumentation included in this avionics package are dual Primus II radio audio control panels with digital audio buses, Coltech SELCAL,a Primus 1000 digital flight guidance system, left and right side Primus II radio management units, dual Honeywell mechanical and vertical gyros, a Primus 650 weather radar, a Fairchild FDR, an AA 300 radio altimeter, a Loral/Fairchild CVR, dual digital air data systems, and an Artex ELT 110-4. An added feature for this advanced avionics suite includes an automatic emergency descent mode. For more information about chartering, leasing or buying a Citation XLS please contact us by calling +44-20-3874-8091 or send us an email here.